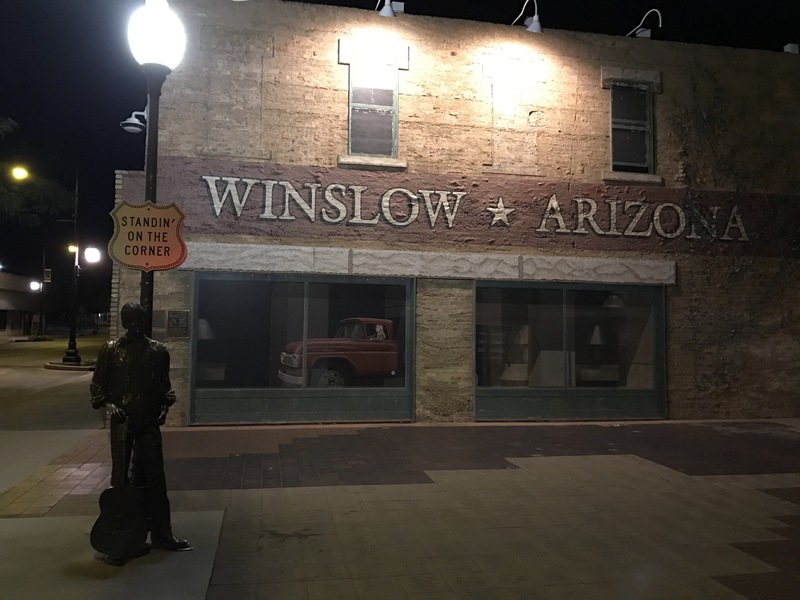 As we progressed east along I-40 we came upon the exit for Winslow, AZ. Being the geek that I am I convinced Heather to make the quick detour and snap some pictures before finding a place to sleep for the night. The kids were asleep in the vehicles, so we left them sleep and enjoyed a late night stroll around Standin’ on the Corner Park by ourselves. I especially liked the giant route 66 logo painted on the pavement in the middle of the intersection as well as the “reflection” of the flatbed Ford in the window. 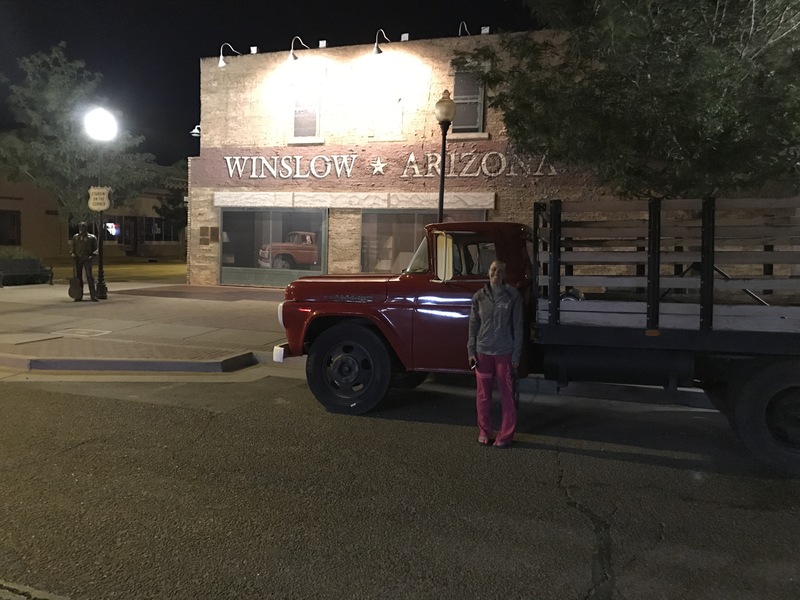 For those of you who have not been there, there truly is a flatbed Ford parked along the street; however the “reflection” in the window is actually on the inside of the glass and not a true reflection at all.